"Discover How Fun And Easy It Is To Strum Along On Guitar With Just About Any Song, In Most Any Style, Even If You've Never Heard It Before..."
With my simple, step-by-step method, you'll be playing all sorts of rhythm guitar patterns, in time and by ear. Including basic strum patterns, swing, rock, country, funk, and many more. Without having to rely on anyone else, without having to read a note of music, and at your own pace, anywhere you choose. In all my years of teaching guitar (which by now is over 25… feeling old today) I’ve learned that the most important (and most overlooked) skill my students can learn is to strum in time. And while the intro to “Johnny B. Goode” is super cool at the beginning… that’s only the first 40 seconds of the song and it’s the other 80% that most people recognize. 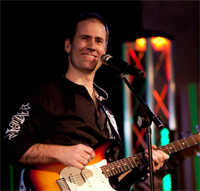 The bottom line is… strumming chords is the root of most guitar playing. … you’ll sound your best if you can play rhythm with solid time. … it is one of the most – if not THE most – important skills you will ever develop. If you have ever wanted to accompany someone else who is singing, or you’ve ever tried to play with someone else and you wondered why it just never “clicked,” I can guarantee that your strumming and timing is the issue. Fortunately, as important of a skill strumming is… it’s actually pretty easy to learn. My name is Griff Hamlin and I’ve been fortunate enough to make a career out of playing guitar. … and it’s people just like you that keep inspiring me to develop all these ideas. Since 2011, I’ve put together an event for my Blues Guitar Unleashed students (only about 30 at a time… until I can find a way to clone myself… ) that focuses on a guitar master class, two blues jams, and a concert featuring my 8-piece band. I bring the rhythm section from my band (Mark, Chris and Quinton) in to jam along with all the students in attendance for a couple songs each. Definitely a “once in a lifetime opportunity” for many people. So I actually asked them all (via a survey so they could take their time to think about it) what was their most pressing problem – the thing that kept them up at night wondering how to fix it in their playing? So I got to thinking about what I could do to help them (and you) out… and decided a course dedicated to strumming and rhythm guitar was the next logical step. So I buckled down and wrote out a simple, step-by-step guide to strumming and rhythm mastery… plus I recorded DVD lessons for the entire course, so you can actually SEE what I’m playing as well… to take you from strumming beginner to strumming master. 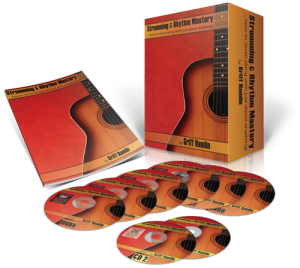 Strumming And Rhythm Mastery takes you every step of the way from the most basic strum patterns to some of the most advanced. And with 19 complete lessons including chord diagrams and written notation (TAB and rhythm) for each example, you will learn everything you need to know to be able to play in time on auto-pilot. That means no more having to think or worry about what beat you’re on… you will just know instinctively. Now if you consider yourself one of those die-hard “lead guitar players” that doesn’t need any work on your rhythm and strumming chops… then I’m afraid I can’t help you and you should close this page and go on back to wondering why no one has asked you to join their band. Discover the freedom you’ll have being able to play along with nearly any song. No more having to guess the strum patterns the rhythm guitarist is playing in your favorite songs. You’ll be able to pick the patterns out “by ear” and play along in no time at all. How to play dozens of strumming patterns, from basic to advanced. There are all sorts of different strum patterns and rhythms out there… but they all come from a few basic building blocks as you’ll see in this course. You’ll learn a variety of strumming and rhythm styles. This course goes beyond the basic rhythms and incorporates some blues, swing, rock palm muting, funk and double time patterns. You’ll even learn the famous Bo Diddley beat! Discover how to count and feel the beat without even thinking about it. Your brain can only concentrate on one or two things at a time… if you have to count while you play, it’s a pretty safe bet you aren’t sounding the way you would like. You’ll learn how to use your strumming arm as your own personal timekeeper. Again, but getting a small group of basic motions down, you will just strum away and always be in time without having to concentrate on it. You’ll learn the most popular strum in the world… really! I’ve taught literally thousands of songs over the years and this one pattern comes up in nearly every style of music I’ve ever encountered. With this one strum pattern you can play hundreds, if not thousands of songs on a moment’s notice. You’ll be able to tell the difference between basic strumming, blues strumming, swing strumming, rock strumming, and even some funk strumming. There are a lot of subtle differences when it comes to strumming in different styles of music. You’ll get to know all of them by the end of this course. Discover some of the most common chord progressions that get used over and over and over again. All of the chord progressions and strum patterns can be found in many real songs by real artists on real records. You’ll learn my signature, step-by-step checklist for mastering a strum pattern. I’ll walk you through each element you need to build a good strumming pattern. It’s simple, makes sense, and offers immediate results. You’ll get a logical and methodical system for learning new strum patterns and rhythmic figures. The book and DVDs are arranged so that you can start right from Lesson 1, page 1, and go through to the end. Every lesson builds on the lessons before it. You can go at your own pace, and you’ll know you are making progress as you master each lesson. 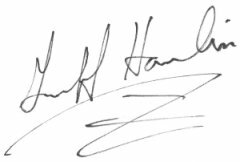 I don’t just want you to copy me, I want you to be able to learn ANY new song that you want… without having to rely on anyone to teach it to you. Discover how to alternate and walking bass going in your strum pattern. This is a common element of many country and folk styles, and poses some interesting challenges for you as a guitar player. You’ll learn many ways to handle these challenges with ease. You’ll learn about arpeggio rhythms as well. Discover how to take apart the notes in the chords and play them fluidly as arpeggios. These picking patterns offer a nice change from standard strumming and make you that much more versatile of a player. By the end of the course, you’re strumming arm will be solid and your ear will be able to pick out all sorts of different strum patterns. One of the main things I hope you get out of this course is a developed ear. Every strum pattern you hear on the radio or at a show will make sense once you’re through with this course… and better yet, you’ll be able to pick up your guitar and play right along. How to work with quarter notes, eighth notes, half notes, and whole notes. Don’t worry, these are just names given to notes and you aren’t going to get all bogged down in theory. It’s very simple, like anytime you play a quarter note, strum down and don’t hit the strings on your way back up. You’ll learn “The Most Popular Strum In The World” and get some practice using it. In this first video example you’ll see how I break down “The Most Popular Strum In The World.” Don’t worry if you don’t quite understand everything I’m talking about, some things were explained in the previous lessons before this one. Next, we'll talk about adding movement and percussion to your strums. How to work with all the types of rests. There are 2 ways to handle them and you’ll get both options and when you use each one. How to make that cool “thump” sound on your guitar so that it almost sounds like a snare drum is playing with you when you play. You’ll get a lot more practice with several “real world” examples that are used in common, popular songs, every day. In this video example you’ll see how you can add some percussive elements to your strum. Again, keep in mind that some terms and concepts might have been explained earlier but you’ll get the idea. The Swing Feel… how to count it and how to use it for “The Most Popular Strum In The World,” among other patterns. How to use the palm of your right hand to “palm mute” the strings. You’ll learn how it’s done in a rock context with a distorted electric sound but we’ll also use it later on the acoustic to control the bass notes. You’ll learn how to use your pinky to play rhythms like the ones in “Johnny B. Goode,” and “Bad, Bad, Leroy Brown.” You’ll also learn how to take the pattern to play blues in E and A… and actually any key you’ll ever want. Here is an example with some “swing style” strumming that might sound something like “8 Days A Week” by The Beatles.. The best alternating bass notes for all 5 major chord shapes. How to “walk” from one chord to the next using the major scale (which you’ll also learn) and walking bass notes. How to use a bend on the bass strings to get that Johnny Cash “Folsom Prison Blues” sound. How to count and play double time strums using 1/16th notes and rests, as well as dotted 8th note patterns. How to play “The Most Popular Strum In The World” in double time. Again, this will open up hundreds, if not thousands of songs to you right away. Here is an example of some double-time strumming with a little embellishment and some walking bass for a classic Steve Goodman style folk sound. How to embellish “inside” the chords to get some nice motion within your chords. One of the things a lot of you ask me is how to throw in some little “tweedlies” to your chords. This is how that’s done. How to play those alternative open chords with common tones between them. Think bands like Oasis, Third Eye Blind, Matchbox 20, and more. How to add more percussion to your playing while doing double time strums. Guys like Jack Johnson use this technique in nearly all of his tunes. How bands like The Rolling Stones, Joe Walsh, The Black Crowes, The Doobie Brothers, and more use “scratching” to add interest to rock chord shapes. Have some fun with this Bo Diddley strum pattern. How to use palm muting on the bass notes to accentuate each chord and add more motion and variety to your strum patterns. How to swing 1/16th notes so you get strum patterns like U2 and Tom Petty use often. How to get out of playing “in 4” all the time and play songs with only 3 beats per measure. This works great for songs like “Piano Man” by Billy Joel or “Elderly Woman” by Pearl Jam. Check out this video example of some James Brown style funk. All of the video and audio examples contain a slow speed version as well, so that it’s easier for you to get started with each new tune. Now, I’m really not here to try and convince you to invest in Strumming And Rhythm Mastery. Only you can decide for yourself if this is right for you. I’m also not going to tell you that if you buy Strumming And Rhythm Mastery, you’ll be playing like Jimmy Page or SRV in 2 weeks. That’s just not realistic for anyone. So if you are one of those guys who owns 20 different “how to play guitar” courses and they are all dusty on the shelf, then I can’t help you and you would be wasting your money. But if you have 15-20 minutes a day to practice, and are willing to follow some simple instructions, then I can have you playing some really fun strumming and rhythm patterns on guitar… literally on the first lesson. Option 2: You can take private lessons… If you were to take private lessons from me (assuming you could get a time slot with me – I’ve been booked solid for years), you would pay $100/hour. 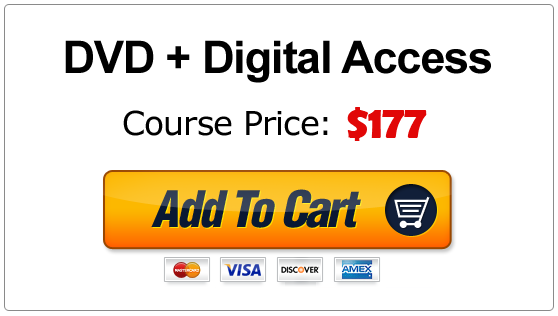 This course would take about a half year to learn, so in total you would have spent a whopping $2600! Option 3: Learn how to strum correctly in a variety of music styles, and for a fraction of the cost of private lessons, with the Strumming And Rhythm Mastery home study course. I challenge you to search the Internet the way I did for a step-by-step method of learning to strum correctly to just about anything. You’ll see there is nowhere else you can get the quality of instruction found in Strumming And Rhythm Mastery. In fact, as always… I guarantee it. 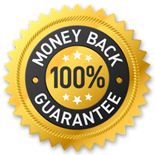 If, for any reason, you are not completely satisfied with your purchase of Acoustic Blues Guitar Unleashed within 365 days from the date of purchase, simply return it for a full refund, no questions asked. Q.Is this course good for a beginner? A.If you’ve never picked up a guitar before, this is not the course for you. However, in my experience, most people underestimate their own abilities. If you can at least play a couple of chords you’ll be just fine. Q.Is it hard to get a refund if I don’t like it? A.It’s a cinch. You’ll have my email address if you need to get in touch with me. All you do is send it back. I’ll happily refund your money if it’s not for you. Q.Is this all secure, I don’t feel good about typing in my credit card information? A.In today’s world, you can’t hardly get any more secure than my order page. It is tested daily to be hacker safe by McAfee, the industry leader. Q.How much do I need to practice? A.20 minutes per day is a good place to start. Any less than that and you won’t see the kind of progress you are looking for. You can get by on less, but you may get frustrated with the lack of improvement. Q.Will your DVDs work in my country? A.I have students and customers all over the world. These are not region-specific and should work in most any DVD player or computer. Q.Do you ship to the UK, Australia, Africa, etc? A.Yes. There are very few countries I cannot ship to. Q.How much is shipping outside the US? A.Shipping charges are calculated automatically in the shopping cart once you enter your country and shipping method. You can learn how to strum your guitar at your own pace, in the comfort of your own home. No driving to lessons or wasting time and gas money. You can be having fun and surprising yourself, your friends, and your family even after just the first lesson. You have a full 365 days to “try” Strumming And Rhythm Mastery. If at any time you are not completely satisfied, simply return the product for a full and prompt refund, no questions asked. With such a limited quantity, they won’t last long at this price. Get yours now or pay more later. There’s no time like the present. If you want to play better guitar, you need some guidance to point you in the right direction. With Strumming And Rhythm Mastery you get step-by-step, easy to follow directions. You simply cannot fail. 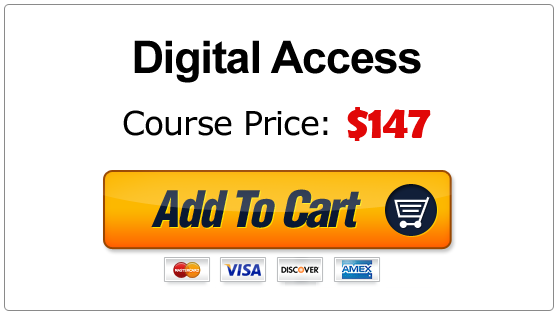 To get your copy of Strumming And Rhythm Mastery, just click the yellow “Add To Cart” button below. Just as soon as your order is complete you will receive an email with your access instructions to the secure Member Portal so you can literally be playing these tunes in just a few minutes from now! This is a one time payment, NOT a subscription. 3 Payment option is available on the next page. P.S. - There are very few people who learn on their own correctly. If you don’t have regular access to a private teacher, it’s about a 99% chance that your rhythm and timing are what will suffer. And unfortunately most people won’t know why they sound bad, they just know it isn’t right and no amount of practice fixes it. It’s extremely frustrating yet so easy to fix. Just Click Here to get your copy of Strumming And Rhythm Mastery today!